FANS of ABBA will be in for a treat when the ABBA Reunion Show takes to the stage at Artrix at 8pm on Saturday, July 21. It has been created by award-winning West End director, producer and choreographer who starred as the original ‘Frida’ from the London cast. 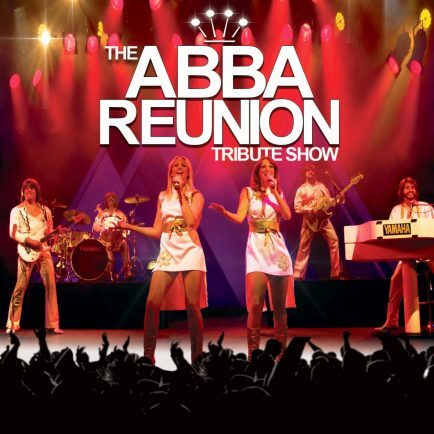 The ABBA Reunion gives fans of the band, old and new, the chance to relive the phenomena that swept the airwaves and discos during the 70s and 80s in a truly authentic, feelgood, party style night. From Mamma Mia to Dancing Queen, all of the greatest hits are performed with unrivalled authenticity from both an audio and visual perspective with an amazing finale recreation taking viewers back to where it began in 1974. The show, which is over two hours long, features soundalike vocals harmonies, guitar and keyboards, along with replica costumes and choreography to enthral as well as entertain. Tickets, which are £22.50, are available by visiting www,artrix.co.uk or by calling 01527 577330.